You're on a diet, but you have trouble sticking to it. Someone offers you a cookie. You want to eat it, but you know you shouldn't. You say this. A: Hey, want to skip class this afternoon and go to the bar instead? "Don't tempt me" means "no", but it also shows that you want to say "yes". This phrase is useful sometimes. 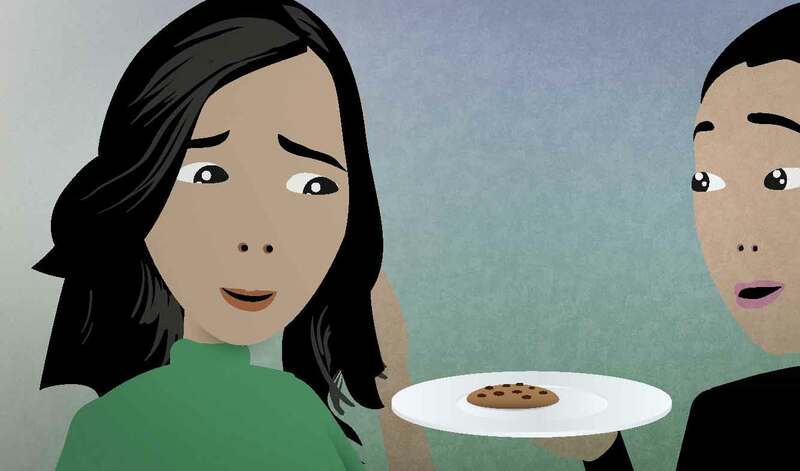 For example, imagine that your friend offers cookies that she made, but they don't look very good. By saying "don't tempt me", you can say "no" without making her feel bad about it.